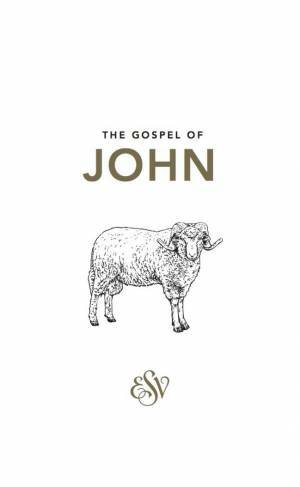 Affordable and succinct, this ESV translation of John's Gospel is great for sharing God's word with those looking to read it. This ESV single issue of John's Gospel is suitable for both personal or group study. Retaining the literary beauty much-loved in classic Bible translations, the English Standard Version is an accurate yet readable word for word Bible translation. The English Standard Version is a new and highly accurate translation of the Bible from the original sources. It sits in the classic stream of word for word Bible translations, using the Revised Standard Version as a base but incorporating all the most recent advances in scholarship and changes in modern language use. It combines the utmost accuracy with readability and literary beauty, and as such it is ideal for personal devotional use or academic study, public reading or memorization. The Translation Oversight Committee and Translation Review Board are composed of evangelical scholars from many different denominations and from various countries, led by Dr J. I. Packer of Regent College, Vancouver. Setting aside doctrinal difference and personal preferences they have striven to render the closest possible equivalent to the original in modern English. In accordance with its commitment to word for word translation, the ESV uses gender-inclusive terms where the original word has no gender-specific connotation, but retains any gender-specific terms as in the original, as well as avoiding unnecessary changes to word order by retaining the generic 'he'. ESV Gospel of John was published by Good Book Company in January 2010 and is our 15406th best seller. The ISBN for ESV Gospel of John is 9781873166987. Excellent give-away gospel. Good quality paper (white). Wanted the 1984 NIV text but politically-correct madness has caused its demise. ESV is now the Bible I recommend. Got a question? No problem! Just click here to ask us about ESV Gospel of John.